Everything in the Produce Stand Half Price! ONE DAY ONLY! If you or your foodie lovin’ friends need to revamp your kitchen, today is your big day! Use the code: APRIL50 to get 50% off your entire order in The Produce Stand. TODAY ONLY! 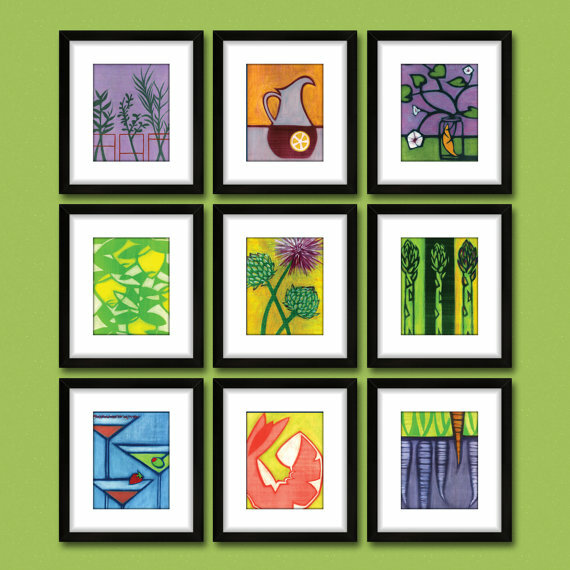 I even still have a few canvas prints available for purchase. These were a very limited edition, so grab them fast! If you peeked at my maternity photos, you may have noticed my new Live Oak inspired jewelry by Savannah artist, Chris Carpentino. Originally from Alaska, Chris came to Savannah and found great inspiration in our beautiful oaks. 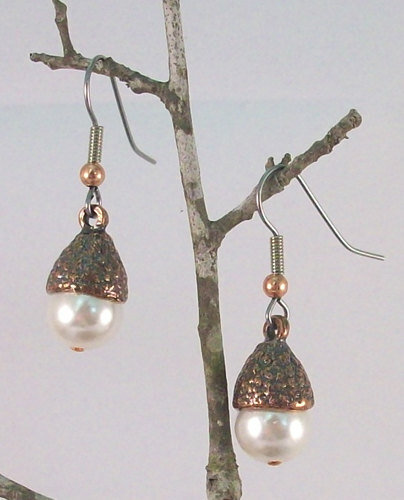 His work takes real acorns and branches of Live Oaks and casts them into beautiful pieces of wearable art. 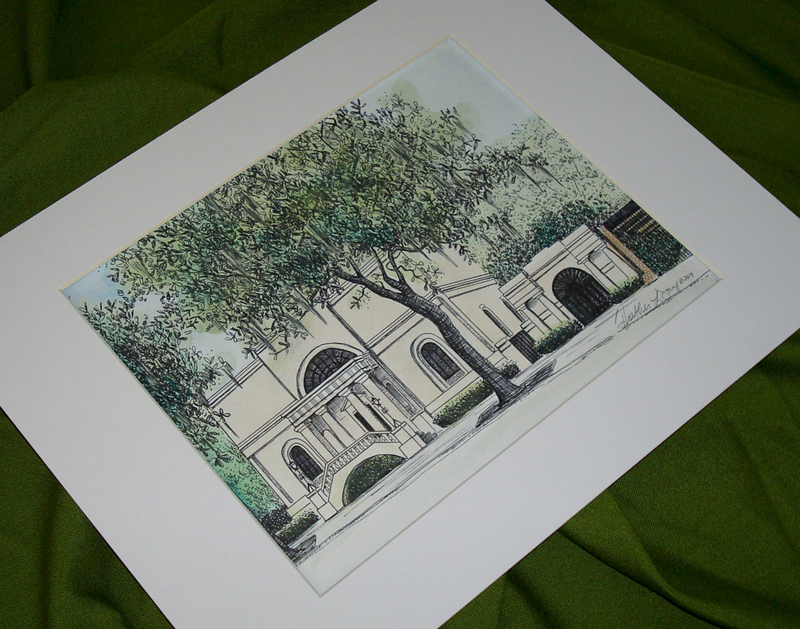 After discovering my work at Savannah Blueprint (my favorite printers in Savannah!) 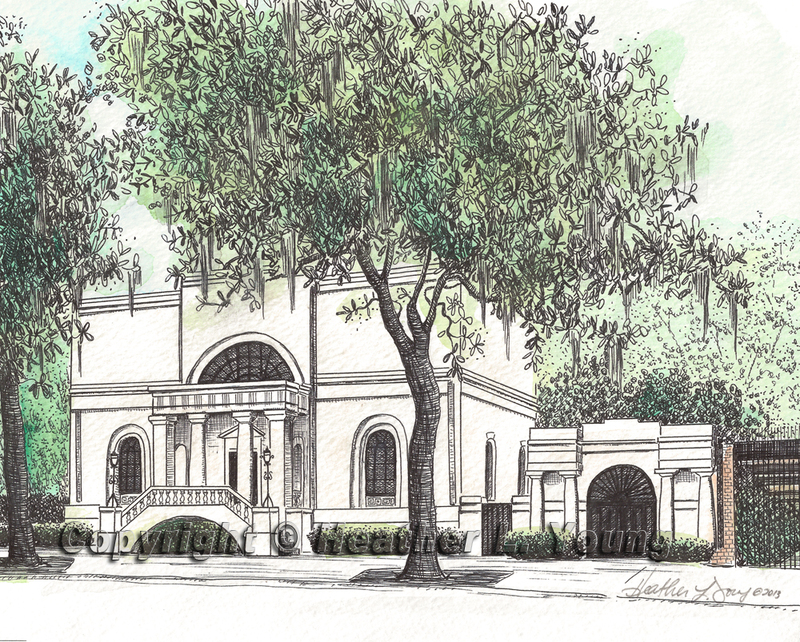 he contacted me about drawing a Live Oak for him. 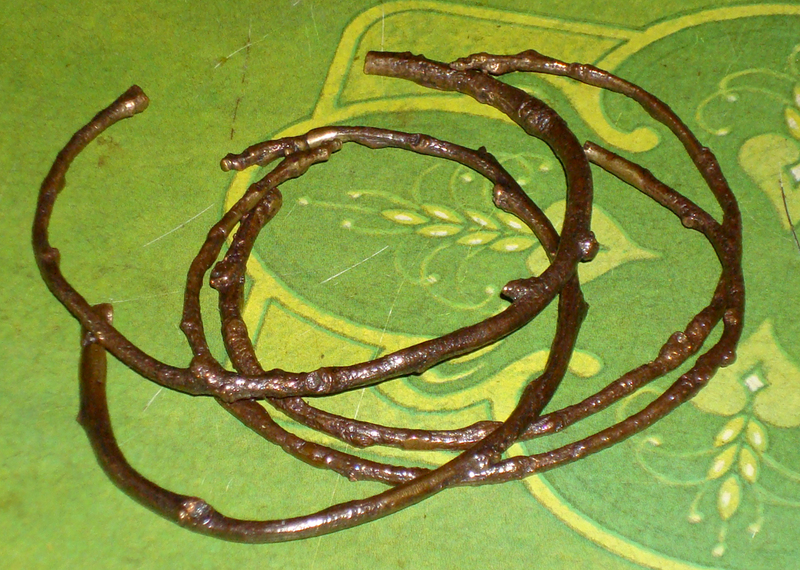 After seeing some samples of his work, I knew I HAD TO HAVE some for my own jewelry collection, so we started a little collaboration. 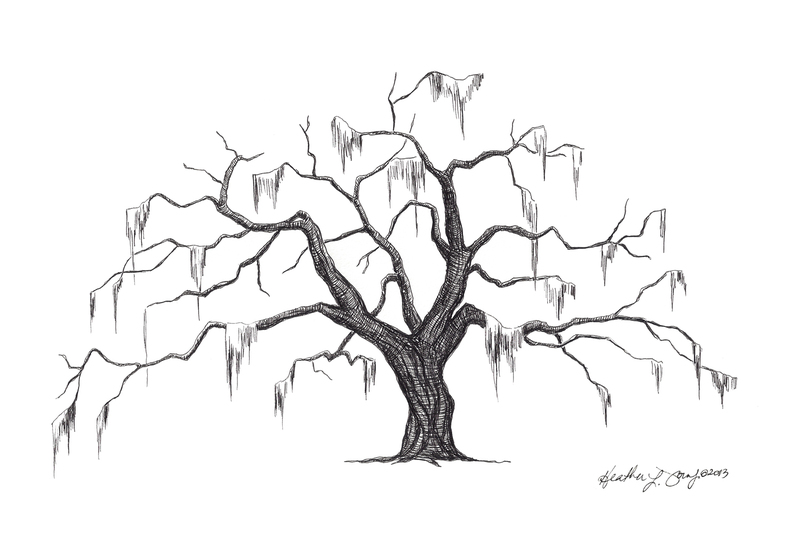 I worked up a tree skeleton for him referenced by a tree found in Historic Forsyth Park. 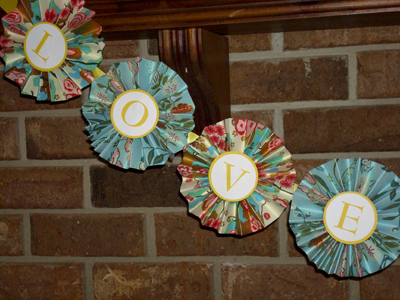 I started with paper rosettes, constructed with sturdy papers found at World Market. 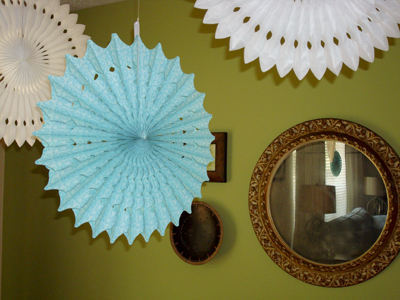 For a tutorial on how to make these super easy gems, see my guest blog for Be@Home. Next, I printed the lettering onto card stock, used a circular punch to keep them uniform, and adhered them to the rosettes with a dab of hot glue. The finished piece reads “Love is Sweet,” though my photo doesn’t do it justice. 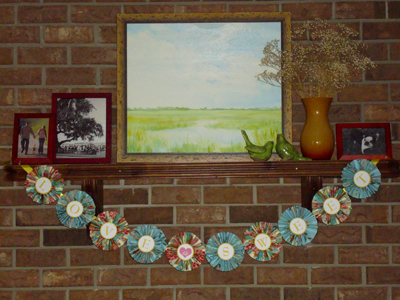 To compliment the custom banner, I cut corners and purchased these hanging decorations from Party City. 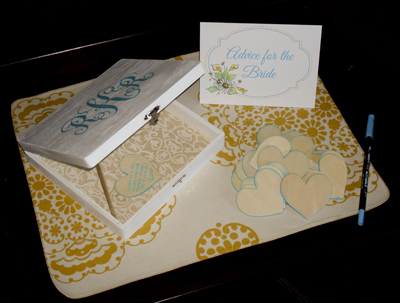 In lieu of a guestbook, I painted the couple’s wedding monogram on a keepsake box, and had guests write their “Advice for the Bride” onto little wooden hearts. It may look fancy but all you need to recreate this monogram are some letters printed on paper, a sheet of carbon paper to trace the letters onto your surface, a good brush, and a little bit of paint! If you don’t have a sturdy hand, make your monogram with larger block style letters. For the last little detail, I used a scrap piece of handmade paper to line the inside of the box. 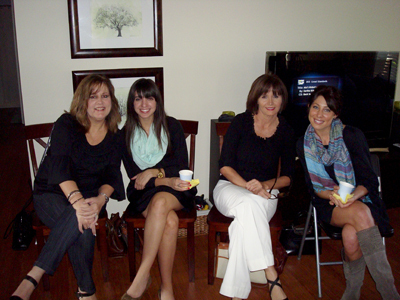 I thought long and hard about favors. I have received so many favors in the past that just get tossed in a drawer and long forgotten, so I wanted guests to have something they could actually use. 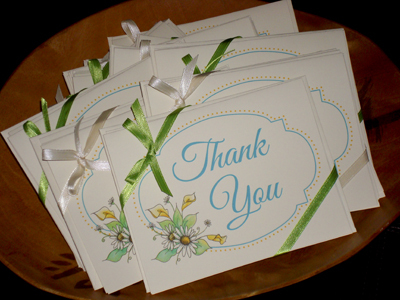 My solution was to print coordinating Thank You notes and bundle them with scrap ribbon I had in the studio. 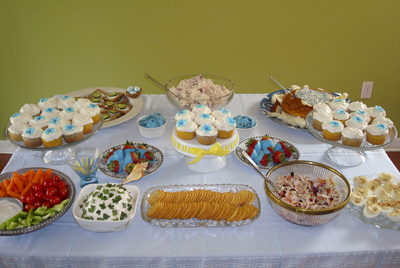 Last but not least, the spread! I purchased the little sugar flowers from Sweet Edibles to dress up the cupcakes. The cake stand in the middle was a “I can’t stop myself purchase” from our local Humane Society Thrift Shop (seriously, $4 and all I had to do was change out the ribbon!) The vintage embroidered tablecloth came from my friend and expert vintage scout, April Joy’s shop The Mint Green Tag Sale. 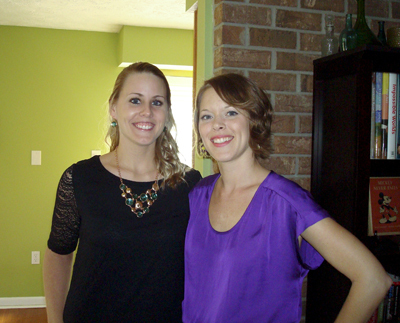 The glowing Bride-to-Be and me! 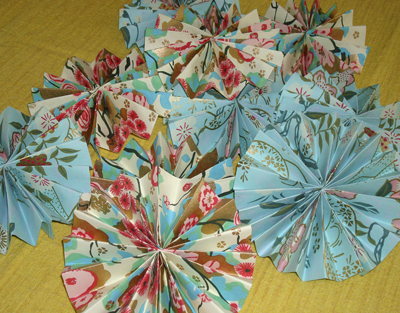 We’re already hard at work with details for the Big Day, so be sure to check back for more handmade wedding goodness! 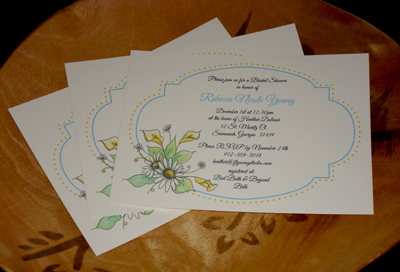 I’m listing new wedding paper goods like mad in theinklab! 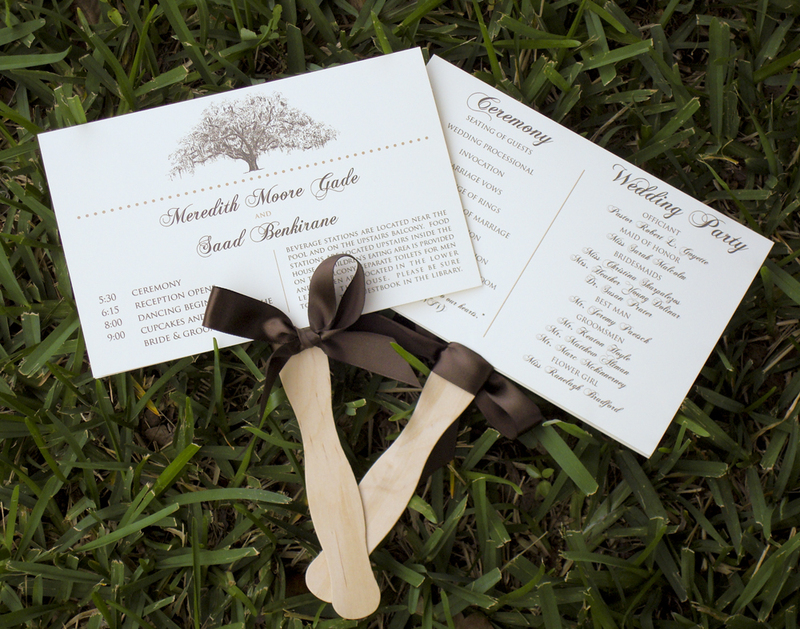 Live Oak Tree Wedding Program Fans – perfect for your rustic outdoor wedding! 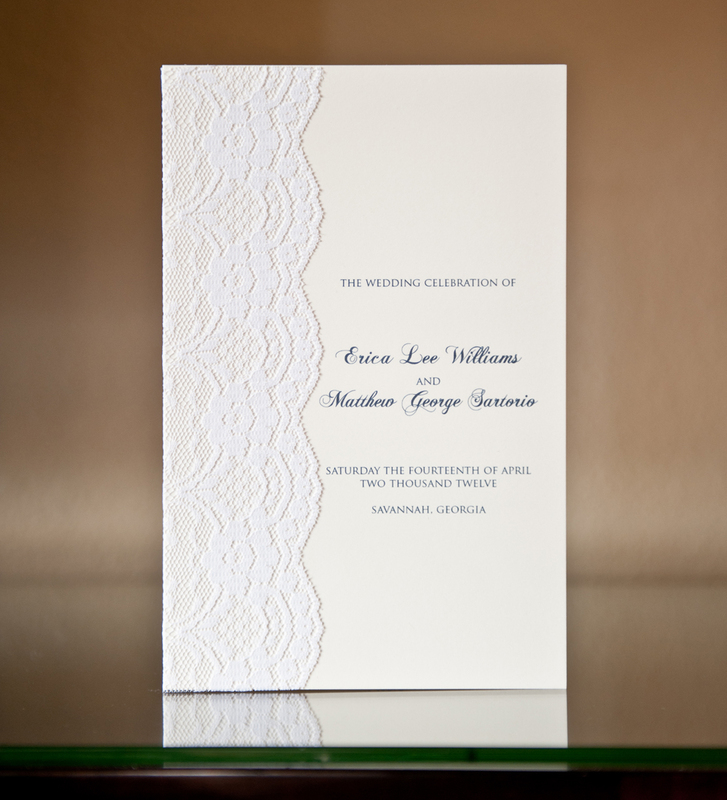 Lace Embellished Bi-Fold Wedding Program – a sophisticated and elegant way to add a little frill to your Big Day! Lace Program photo courtesy of the very talented Diana Daley. 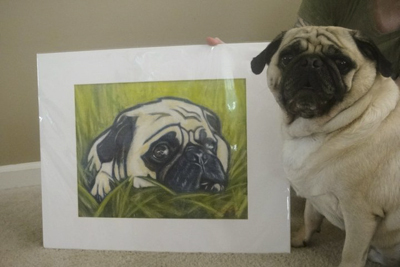 My 3rd Pug Portrait of the year just arrived, and it reminded me that I never shared pictures of Frank! Perhaps you remember K-9 Officer Bully? 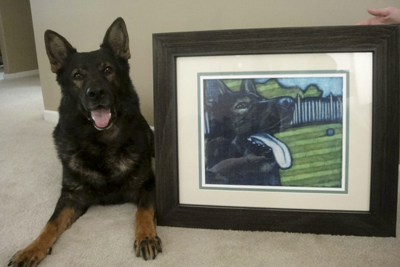 Well, this is Bully’s brother, secretly commissioned by my friend Jill’s husband. (so nice!) I poured over several pictures of Frank, and even though we’ve never formally met, I can tell he has quite the personality. Seriously loved painting every wrinkle on this dog! Oh and not to nag, but if you’re pondering a custom pet portrait for a holiday gift, now’s a good time to get on board! Each portrait requires several layers of oil paint and lots of drying time, so space is limited. 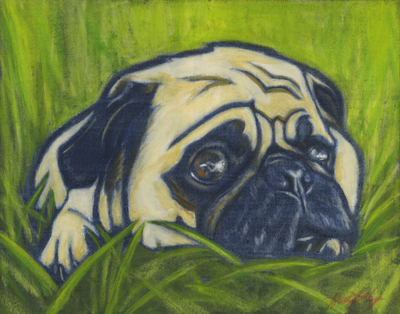 Visit VaydasPetShop.etsy.com for commissioning info and the main gallery for a look at pet portraits from years gone by. 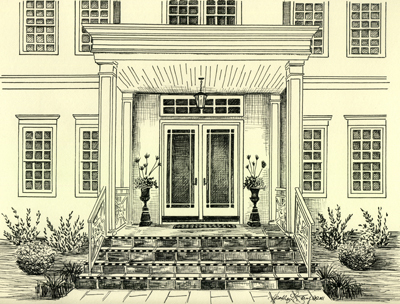 The house in its entirety is gorgeous, but here we’ve decided to highlight the front door. It has an intimate feel to it, and I’m thinking this is going to be a listing to add to theinklab.